Is SNAP EBT Down Right Now? Check the system status if EBT cards are not working or see outage reports for the problems which users are experiencing. 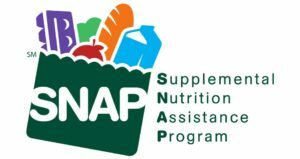 Snap was previously known as Food Stamp Program and it is an abbreviation of Supplemental Nutrition Assistance Program. SNAP is U.S. federal aid program which provides assistance to low or no-income people living in U.S., in 2014 it supplied about 46.5 million Americans an amount of $125.35/month to each person in food assistance. SNAP EBT can have outage of service at any time, in past issues have been seen with the service and users reports different types of issues with the service. The consumers of SNAP program becomes annoyed when they found the service down, in the event when they need a help from government to which all Americans pays taxes. The common reported issues about SNAP EBT includes EBT cards not working, problems with food stamps, electronic benefit transfer shows errors, balance is not working and some other issues. If you are also user of SNAP EBT program and have issues with this service, you should report the problem here with complete details about the problem or error which is experienced over the website or SNAP EBT program.